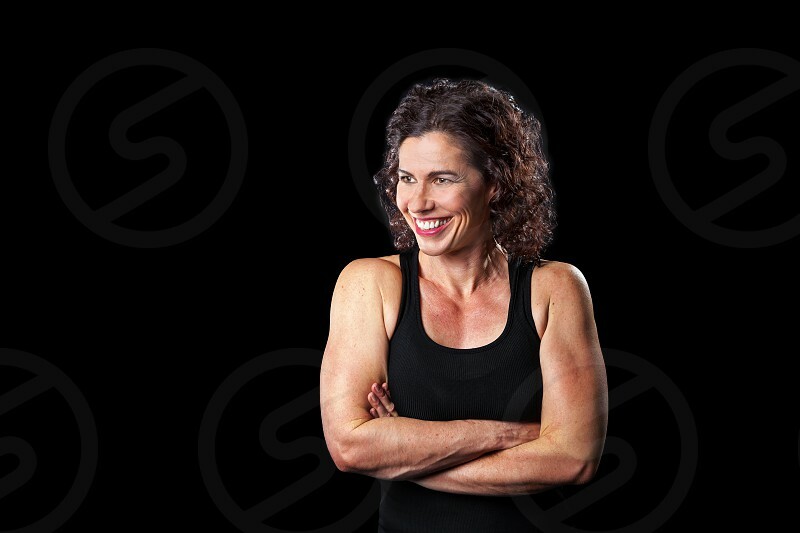 Portrait of a muscular woman smiling and looking off to one side. Lots of copy space and path around woman. Black background, cross lit.